This book contains a complete treatment of the technical and philosophical aspects of Shorinjiryu Kenkokan Karatedo, which is characterized by an extremely high level of systematic and scientific development. Karate, a manifestation of a distinctly oriental intellectual approach, has a long history as a method with two purposes. First, it trains the individual to defend himself and to protect the interest of justice. Second, it disciplines the mind with the ultimate aim of spiritual enlightenment. Today, however, karate has lost much of its original technical and spiritual meaning and has become a kind of sport in which techniques required for victory in matches and tournaments are overemphasized. It is obviously important to be constantly devising new methods and ways of thinking to conform to the needs of the times. In other words, mature thought must be directed to continued development. But it is scarcely to exclude from consideration all ancient meanings and history because to do so can have a detrimental effect on the future of karate. Realizing the importance of the old and the new, the author of this book offers a complete commentary on the karatedo heritage from the past and an analysis of techniques and spiritual elements in terms suited to the modern scientific age. Many of the numerous books available on karate treat physical, physical-educational, dynamical, and scientific themes because most of these works emphasize winning in matches. 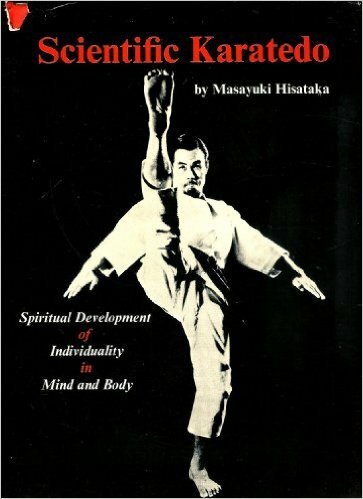 As a consequence of this kind of emphasis, the books concentrate on kicks and thrusts and omit all of the other aspects of karate.But karate is a complete combat system including throws, joint holds, and techniques involving the use of weapons. Furthermore, all of these various elements are inter-realted within the total karatedo system. For this reason it is impossible to discuss karate adequately by presenting only one or two of its component parts. To give an overall understanding of karate requires a harmonious presentation of all of its parts and of the relations among them. Scientific Karatedo makes this kind of presentation and gives the modern reader a full, convincing explanation of the techniques and the spirit, the history and the science of karatedo.